My goal is to combine a passion for the outdoors with a love of adventure photography and weddings. As a brand, that might mean someone who can deliver creative content from authentic locations off the beaten path. As a couple about to embark on your own adventure called marriage, a rustic wedding at a summer camp in a remote location is my happy place. Let’s make some great stories to tell around the campfire. 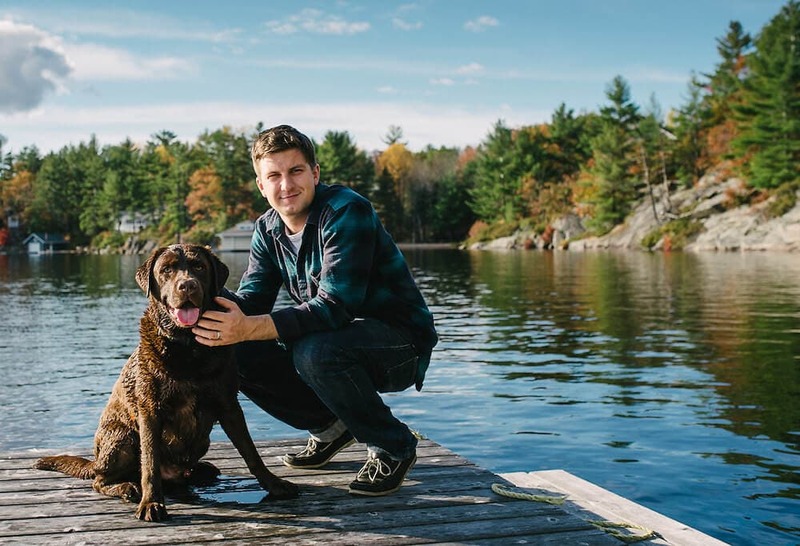 Toronto is currently home, but with a strong passion for the outdoors, you'll often find me in Muskoka or further north, canoe tripping and camping in the backcountry with my wife Brittney and chocolate lab, Cooper. Having Type 1 Diabetes since 2001 has led me on some incredible adventures with great clients, including my charity of choice, Connected in Motion.